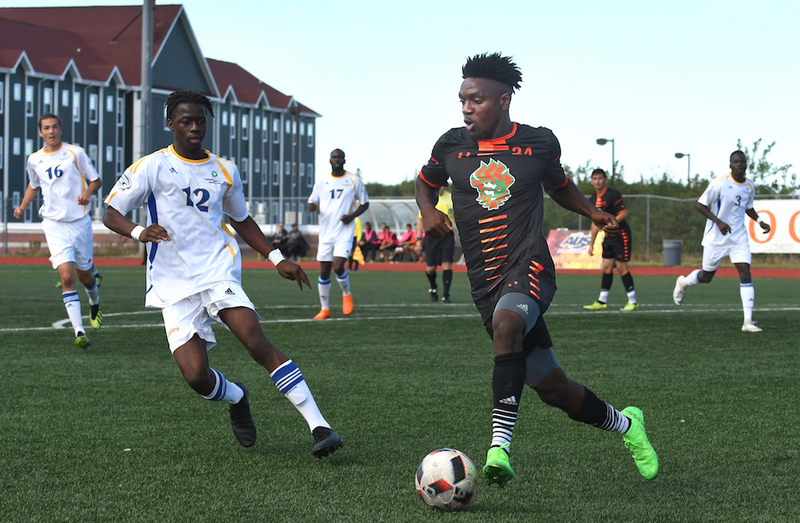 A year after their first national title in school history, the Cape Bretons CAPERS look to keep possession of the Sam Davidson Memorial Trophy when the 2018 U SPORTS Men’s Soccer Championship opens this week. The CAPERS spent much of season atop the U SPORTS Top 10 rankings while the host UBC Thunderbirds looking to win their 14th U SPORTS championship and first since 2013, enter as the most decorated side in the eight-team field. Full draw results, a championship schedule and team-by-team previews are available below. 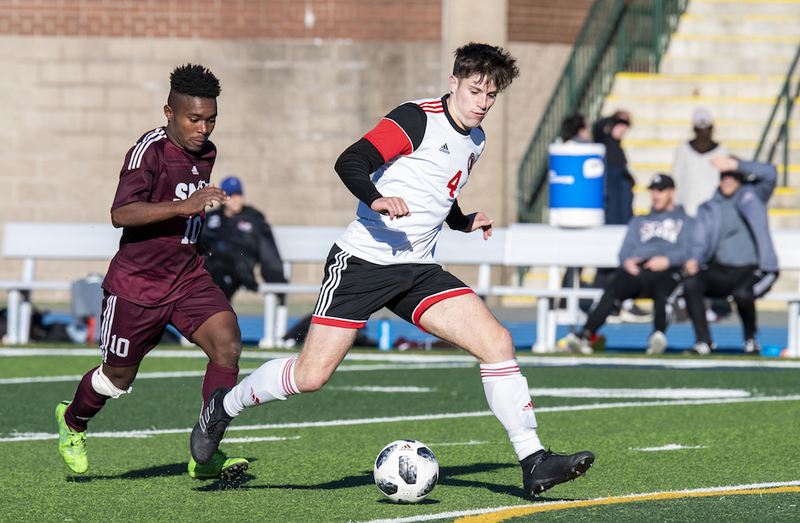 The 2018 U SPORTS Men’s Soccer Championship kicks off on Thursday at Thunderbird Stadium and concludes next Sunday with the gold-medal final at 5 p.m. ET / 2 p.m. PT. Livestreaming is available on USPORTS.LIVE. York earned the No.1 seed and a first-round bye in the OUA West division playoffs after an undefeated regular season that saw them go 13-0-3 and outpace the second-seeded Guelph Gryphons by ten points in the standings. The Lions entered the playoffs with the most goals scored (44) and the least amount of goals against (12) in the OUA West. They were on a roll all season and ended the campaign on a seven-game win streak following a tie with the McMaster Marauders on Sept. 28. The Lions have only lost once since Aug. 30, 2017, a 1-0 loss in the quarterfinal round of the U SPORTS Championship last year to Thompson Rivers. The Lions continued their impressive regular season with a dominant 3-0 win over the Waterloo Warriors in the OUA quarterfinals, a 1-0 win over their cross-town rivals the Ryerson Rams in the semifinals and a dominant 3-1 win over the Carleton Ravens in the OUA final - their second consecutive championship and fifth in six years. The Lions will compete at the U SPORTS Championship for the sixth straight season. The Cape Breton CAPERS captured their first national title last season, and picked up right where they left off, earning their second straight AUS championship and third in the last six years. Cape Breton finished atop the conference standings with a 10-0-2 record, going undefeated for the second consecutive season. The team scored 36 goals in 12 games this season to go along with eight shutouts, and were led by league MVP Peter Schaale, four other AUS First Team All-Stars, and head coach Deano Morley, who won his third AUS Coach of the year award (2014, 2017, 2018). The UBC Thunderbirds had an historic regular season in 2018, concluding the conference campaign with a record of 13-1-2 and 41 points, tied for the most wins and most points in a single season in Canada West history. First-year midfielder Thomas Gardner made history by becoming the first player in Canada West to win the league’s Player of the Year and Rookie of the Year awards in the same season. He was one of the 10 combined UBC selections to the Canada West All-Star and All-Rookie teams. Gardner won a place on both the first All-Star team as well as the All-Rookie squad. Captain and defender Connor Guilherme joined Gardner on the first team. Forwards Caleb Clarke, Kristian Yli-Hietanen, and Sean Einarsson won a place on the second team along with defender Riley Pang and goalkeeper Jason Roberts. Midfielder Nick Fussell and defender Daniel Kaiser were also All-Rookie team members. Roberts went 12-0-2 in goal for UBC, and his 12 wins were a school record, and tied for second most in a single season in league history. His 7.5 shutouts this season tied for most in UBC men’s soccer history and tied for fourth-most in a single Canada West season. RSEQ Player of the Year Frédéric Lajoie-Gravelle, a psychology and sociology student, set a new conference record with 14 goals and 20 points, while tying a team record with 31 goals in his career, in just three seasons with the team. 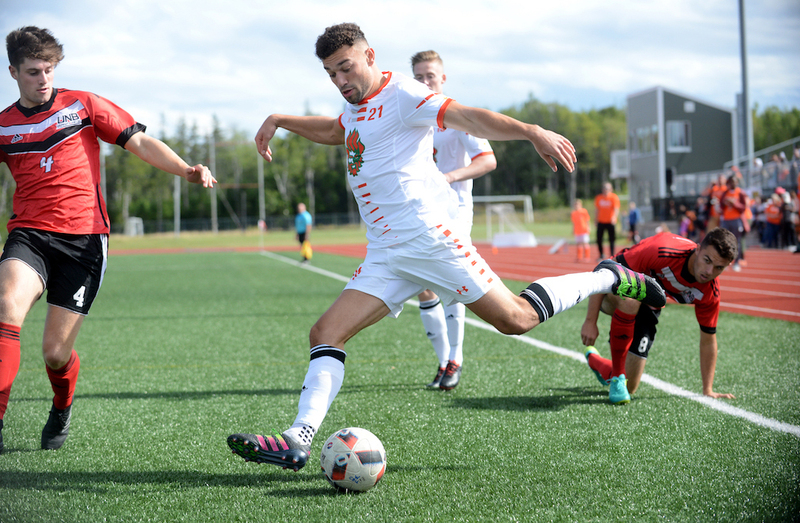 Midfielder Omar Kreim, who missed last year’s national tournament with an injury, recorded four goals and three assists to cement a spot as an RSEQ First Team All-Star. 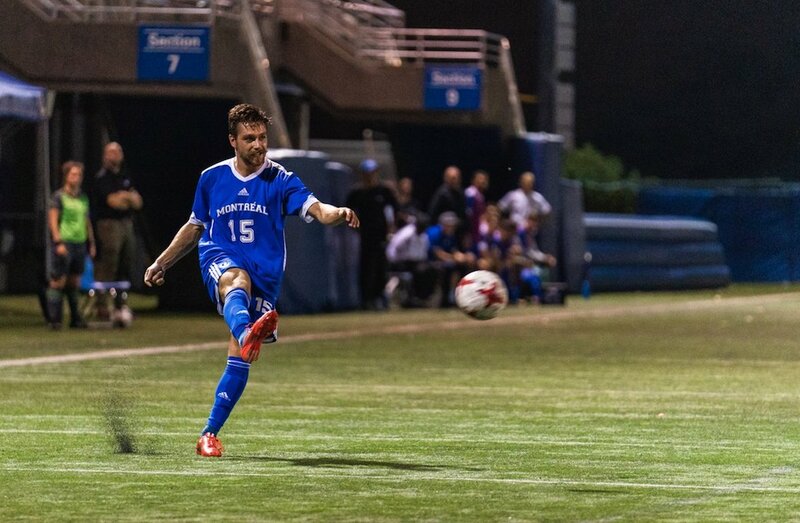 Pierre Lamothe, a former member of the Montreal Impact Academy, earned the RSEQ Rookie of the Year honours. The Reds began the 2018 season slower than they wanted to, registering two draws and two losses in their first four games. On Sept. 22, UNB upset nationally-ranked Acadia, marking a true turning point in their season. The team went on to win seven of their final eight regular season games, going unbeaten in that stretch. Fourth-year midfield Ben Gorringe emerged as a leader, twice scoring multiple goals and six in total. Fourth-year striker Dan Walker scored six goals too, and added six assists, proving his worth as a playmaker. 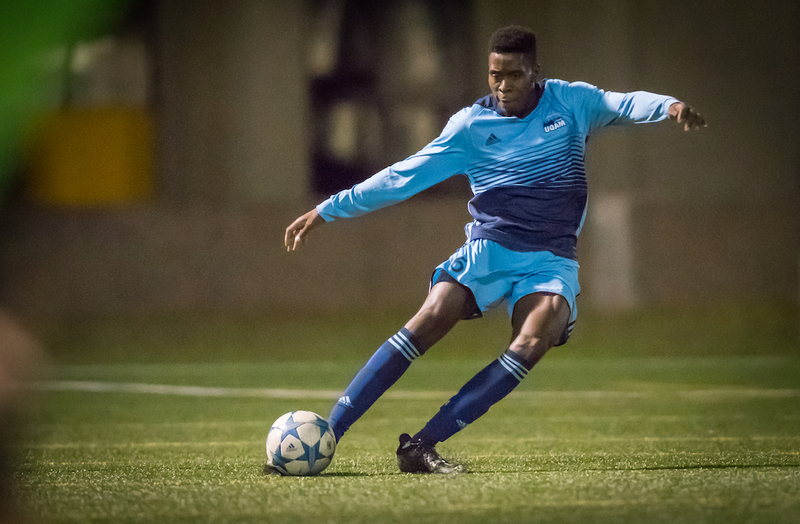 First-year striker Tristan Nkoghe, sidelined by injury in 2017, also erupted for six goals, earning AUS Rookie of the Year honours. Keeper Evan Barker, the 2016 AUS Rookie of the Year, bounced back from a sub-par 2017 season, posting a 6-2-3 record and leading the AUS in save percentage (0.851). The Ravens head into nationals with their offence firing on all cylinders. Gabriel Bitar leads the way with a team high 13 goals. Close behind him is Stefan Karajovanovic with 12, which is even more impressive considering most of his goals have come after second-half substitutions. While the offence has often been a major storyline for the Ravens, their defending is also championship calibre. Goalkeeper Nick Jeffs has made 27 saves in 10 matches and only allowed three goals in that span. As a team, the Ravens are sporting a 0.44 goals against average for the regular season, which is tops in the OUA. They will surely be a major test for whomever crosses their path at the national tournament. With a young and up-and-coming team, the UQAM Citadins will appear in their fifth consecutive U SPORTS championship, but this time as the RSEQ finalists. With an experienced group at the U SPORTS level, there is no doubt that head coach Christophe Dutarte's side are prepared to take on the nation's best. After finishing the regular season in third place with a 5-2-5 record, the Citadins easily won their RSEQ semifinal 1-0 to clinch a spot at the national tournament. 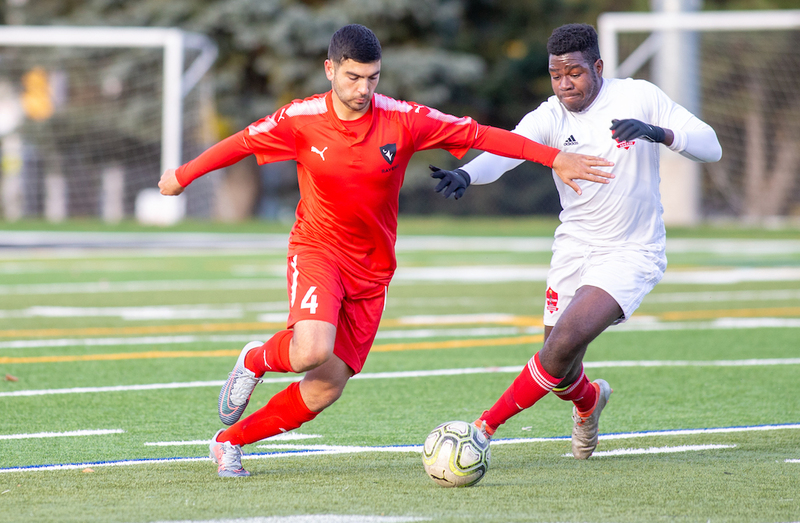 The team will turn to two of its most experienced players - veteran defenseman André Bona and veteran goalkeeper Valentin Lamoulie both bring stability to UQAM roster, along with fellow second-year defender Hamza Methamem. All three were selected as RSEQ All-Stars. For the third straight season, the Spartans finished second in the Pacific Division and for the third consecutive year, they made it to the Canada West Final Four. The Spartans put together an impressive 2018 campaign that saw the team’s only setbacks come against No. 1-ranked UBC (twice) and against fellow Final Four participant Thompson Rivers in a meaningless season-ending contest. TWU’s success came on the strength of a balanced operation at both ends of the park. The Spartans under-the-radar outfit – evidence by just one Canada West all-star nod – put together a balanced lineup that saw 11 different players score goals and 13 players earn at least a point on the team’s 34 total goals (second only to UBC). 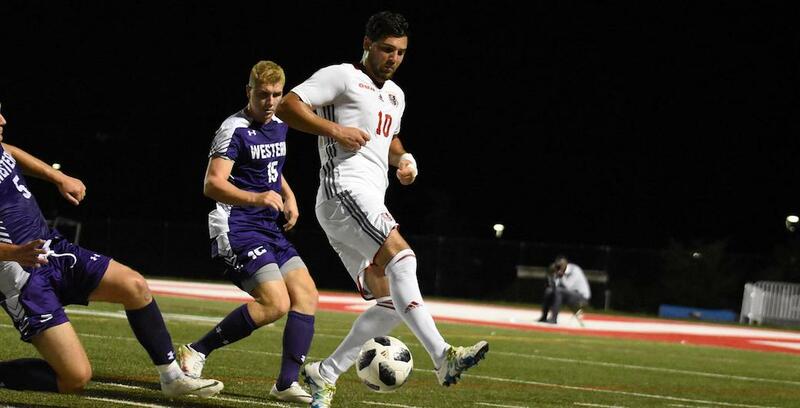 Sandwiched between a pair of losses to the T-Birds, the Spartans put together a tidy 10-match unbeaten streak (7-0-3) in the middle of the season that saw TWU go nearly six weeks without a loss.